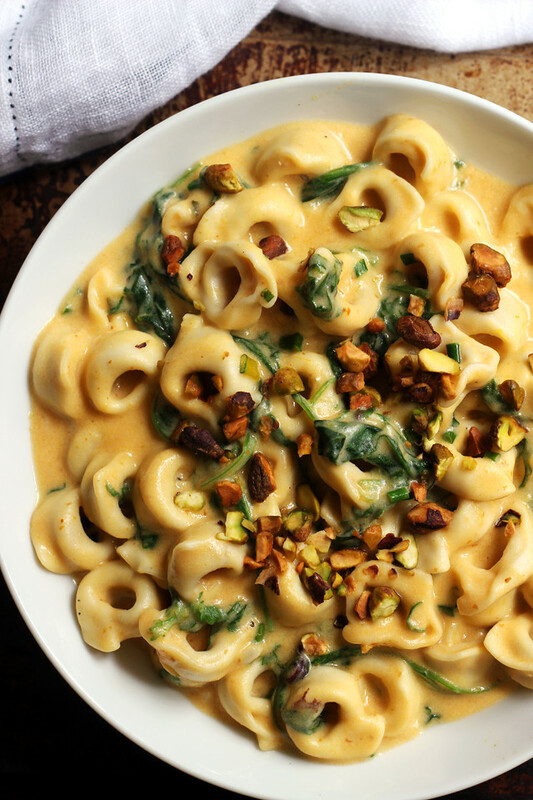 Pumpkin and cheese stuffed tortellini and kale get tossed in a decadent pumpkin alfredo sauce making for an indulgent but delicious fall meal. Disclosure: This post was sponsored by DairyPure Milk. As always, my thoughts and opinions are my own. There are times when it’s really a best life choice to ignore your cravings. For instance, when passing by the Reese’s aisle of the convenience store on your way to buying toothpaste. GOOD JOB. And then there are times when resistance is not only futile, but pointless! Why should we be the only thing standing between ourselves and creamy pasta weeknight dinner eternal happiness?!?! I swear ever since the first cold spell hit, all I’ve craved is carb on cream on PUMPKIN dinner action. It doesn’t help that tomorrow is NYC Marathon Sunday, and what kind of a New Yorker would I be if I didn’t carb load in solidarity with all those brave souls taking on the notoriously difficult 26.2?! I don’t even want to fathom it. The best thing about this beyond decadent alfredo is that it’s really not as rich as it seems, so even those of us whose main physical activity recently consists of flipping through index cards can feel good about eating it. The alfredo sauce is 1 part light cream to 2 parts vegetable broth to a WHOLE lot of pumpkin, yet tastes like it’s every part full fat indulgence. 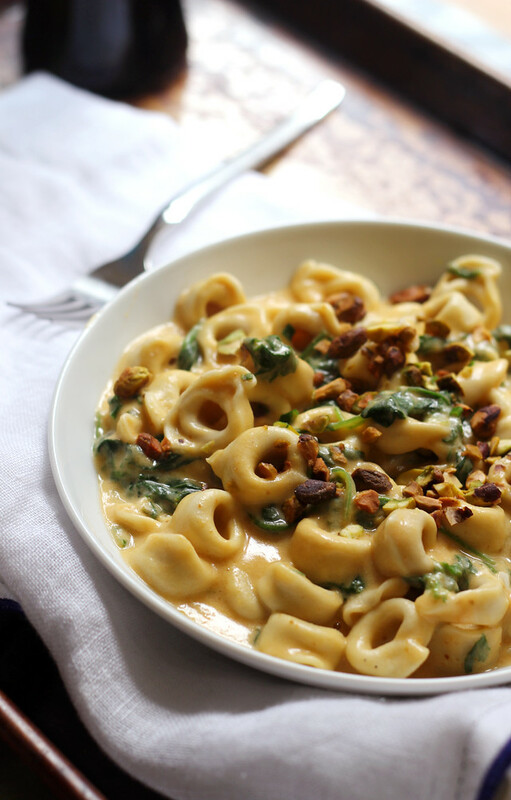 I can’t get enough of stuffed pastas, so I tossed it with pumpkin tortellini and baby kale, but it would also be great with linguine, pappardelle, or fettuccine! Or you could just drink it from the pan. I pass no judgment. 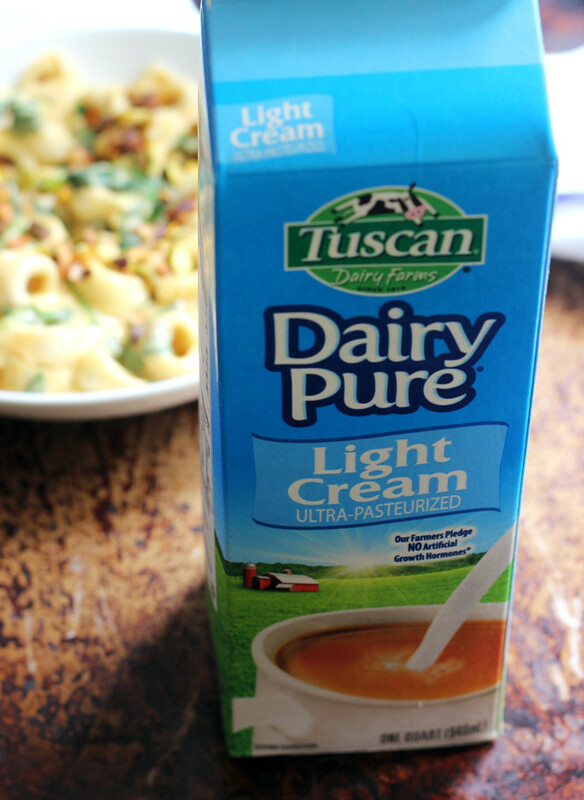 Good quality dairy is really a priority in a dish like this, which is why I reached for DairyPure light cream! All DairyPure milk is tested for antibiotics and is guaranteed to be artificial growth hormone free. It is continually quality tested to ensure purity and deliciousness, and as such it only comes from cows that are fed a healthy diet. Bring a large pot of salted water to a boil. Cook the tortellini according to package instructions. Add the baby kale to the pot in the last minute or so of cooking. Drain and set aside. Meanwhile, in a medium bowl, whisk together the light cream, vegetable broth, and flour. Set aside. In a large skillet, melt the butter over medium heat. Add the garlic to the pan and saute for 30 seconds or until fragrant. Pour the milk mixture into the pan along with the pumpkin, parmigiano reggiano, and chives, Bring to a low simmer, allowing to bubble until slightly thickened. Remove from the heat and season to taste with salt and black pepper. 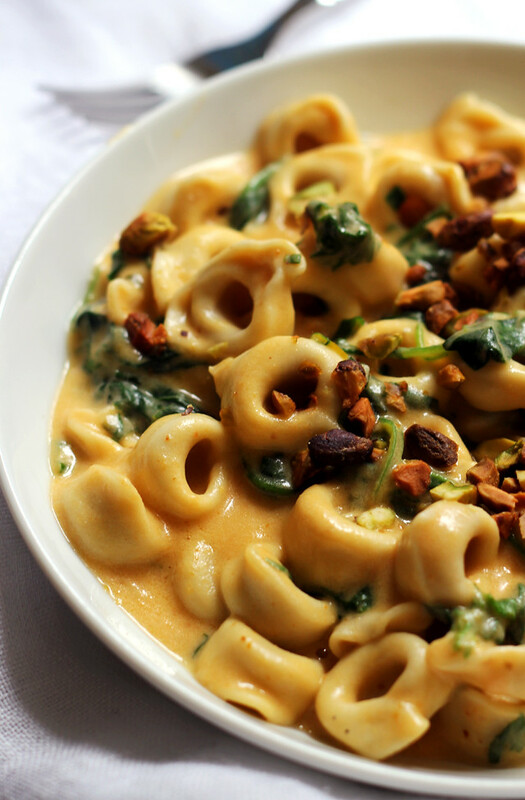 Toss the tortellini and baby kale with the pumpkin alfredo sauce. Serve garnished with pistachios. Oooo nice! The ratios for this look perfect!! Now you have me crave some pasta with some creamy sauce!! This looks utterly comforting and delicious. The toasted pistachios on top are a great contrast. This looks so good! 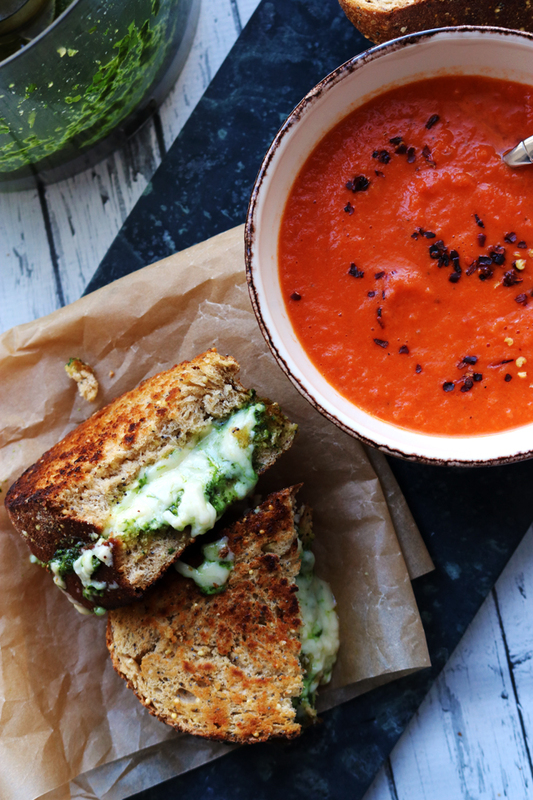 That sauce and those toasted pistachios look perrrrfect together! Joanne, this looks creamy and sublime! Totally obsessed with how it’s secretly not even all that unhealthy 🙂 Pinning! Great dish. Never tried a pumpkin sauce but I have to change that now! 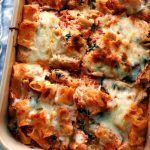 I’ve been using a pumpkin tomato sauce lately – I could definitely go for some pumpkin alfredo! Something tells me I would eat WAY too much of this!! how the heck did i miss this carby/cheesy deliciousness. pass me a fork please. Now you’ve got ME craving carbs on cream on pumpkin! This dish is seriously lovely–we’ve got kale for health and pistachios for crunch and cheese and carbs for everything else! 🙂 Hope studying is continuing to go well for you! I think you have won the pumpkin prize for the season, because this looks A-MAZING. As usual. Yum!! Firstly, this has kale in it and therefore it is awesome. Secondly, I love that you have made a sauce out of the pumpkin, I am definitely trying that. Whoa, look at that sauce! I could definitely eat that straight from the pan. oh my goodness- this looks AMAZING! yum yum yum. Mmmmmm double the pumpkin, double the fun! I applaud your carb-loading efforts… such solidarity! All my pumpkin dreams will be made of this from here on out! That looks freakin’ amazing! I happen to have some Dairy a pure in the fridge. What a pretty dish, you always add something to make it aestheticly appealing too. I could pretty much drink that sauce. Tortellini optional. Oh Joanne – this is simply a beautiful dish! 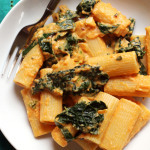 Love the creamy pumpkin sauce – especially as it isn’t laden down with cream. 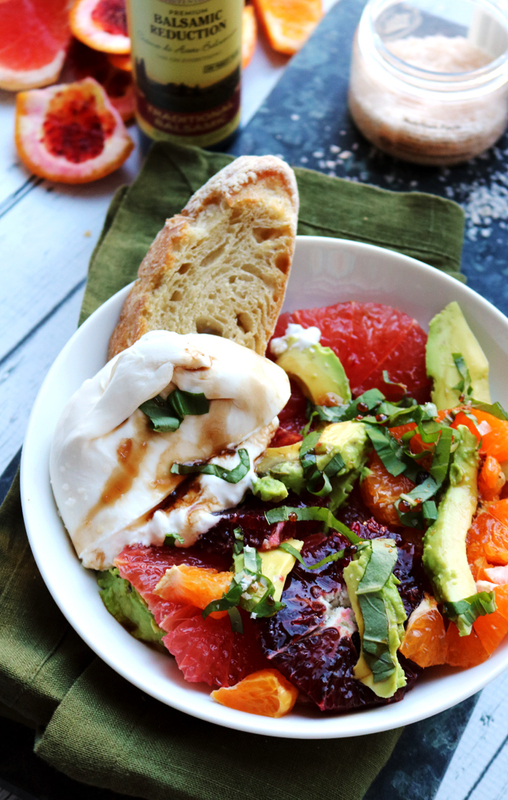 And, topping this with pistachios makes it definitely crave-able! 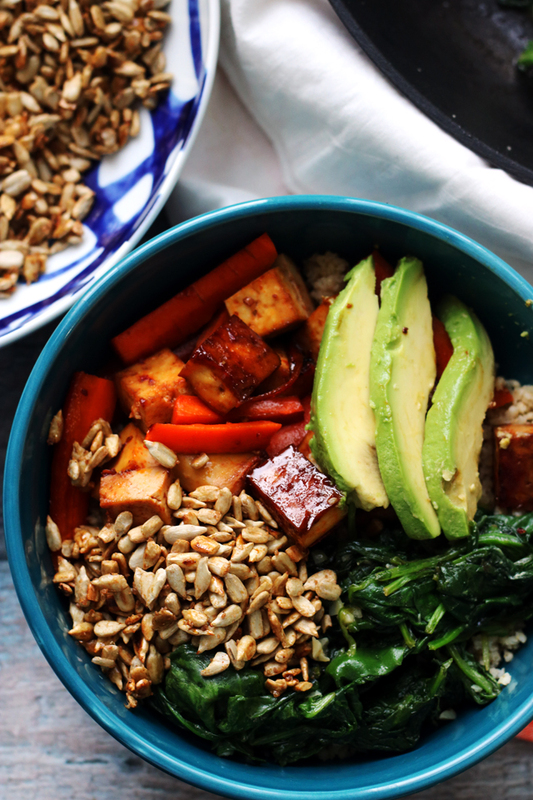 Next time I’m craving comfort food, this is what I’m making. Looks so good! Oh my. Seriously, oh my. It looks A.M.A.Z.I.N.G!!! Totally get the solidarity thing-but skipping the Reese’s aisle?? This though, would not be skippable! This looks for rich and creamy delicious- it has to taste amazing! 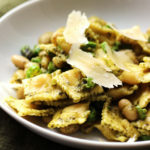 Love the recipe.. we’ll definitely try this dish soon! Thanks for sharing. Reeses AISLE?? I feel like they do food SO much better in the States than in Canada. This looks like the ultimate comfort food. I love it! 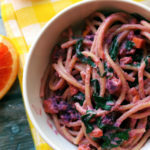 Creamy pastas have always ALWAYS been my super weakness! Can you imagine my state as I am staring into my screen looking at this creamy deliciousness at lunch time eating salad! SALAD!!!! This looks sooooo good! 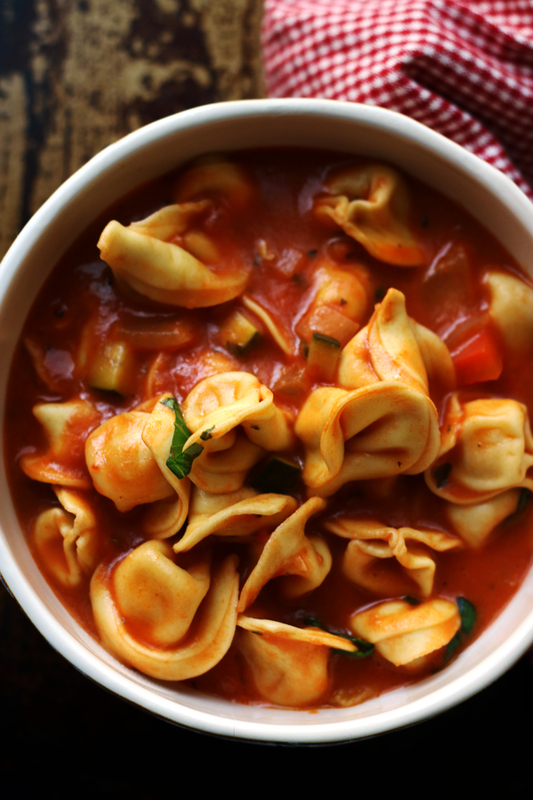 We just had something very similar last week, but ours only had regular ol’ pasta, so your cheese filled tortellini is making me pretty jealous. Looks so delicious! I’ve never tried this brand, but will definitely do! Pinned! So much pumpkin goodness here! The only thing better than carb loading so you can run a marathon is carb loading so you can watch one. Joanne, oh my gawd, this looks sooooooo good!!! going to try this one! I love this use for pumpkin! Sometimes you just crave something creamy and this is just the thing to satisfy that kind of ‘must-have’ craving. Looks great, Joanne! Now this is a droolworthing meal! Your pictures have me hungry all over again. Just made this for dinner tonight! Good stuff, but I have to say, the pumpkin flavor doesn’t come through all that much, which is disappointing as that seems to be the idea here. Otherwise, it’s a nice dish. The toasted pistachios are brilliant, though pistachios aren’t cheap. I used rapini instead of kale because it was what I had, and it did the trick!